Adam Nash is an entrepreneurial executive with a passion for product and deep experience with mobile and social platforms. He joined Greylock Partners in 2011 as an Executive in Residence, where he advises the leadership teams of the firm's existing consumer technology companies as well as evaluating new investment opportunities. Prior to joining Greylock, Adam was Vice President of Product Management at LinkedIn. Most recently, Adam led LinkedIn's Platform & Mobile products, including the launch of LinkedIn's open developer platform and their highly successful native applications and mobile web experiences. Adam was the founder and architect of LinkedIn Hackdays, a seminal program for driving the innovation culture at the company. He also was responsible for leading LinkedIn's search & cloud efforts, as well as forming and leading their user experience & design team. 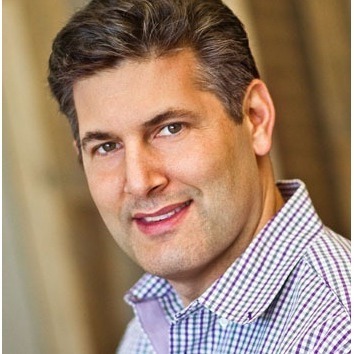 Prior to joining LinkedIn, Adam held a number of leadership roles at eBay, including Director of eBay Express, an innovative new site focused on new, fixed-price products. Previously, Adam also held strategic and technical roles at Atlas Venture, Preview Systems and Apple. Adam holds an MBA from Harvard Business School as well as BS and MS degrees in Computer Science with a focus on Human Computer Interaction from Stanford University. Adam was born and raised in Silicon Valley where he lives with his wife, four children and a beagle. Adam is now connected to Manu Kumar. Adam was mentioned in a VatorNews article "5 Unbreakable rules for user growth "
Adam was mentioned in a VatorNews article "David Hornik brings 'Gangnam Style' to Vator Splash"
Adam became a competition judge for the Vator Splash SF (September 2012) competition. Adam is now connected to Jeffrey McManus. Adam is now connected to Michael Buhr. Adam is now connected to Steve Patrizi. Adam is now connected to Michel Floyd.